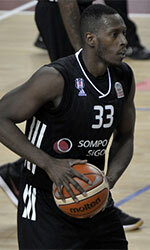 Gaiteros de Zulia (LPB) landed 32-year old Venezuelan naturalized Colombian shooting guard Douglas Chiquito (193-86). It is actually his comeback to Maracaibo as he has played here before. Chiquito played in the summer at played at Universitarios in Panamanian LPB league. In four games he averaged 11.5ppg, 4.0rpg and 2.5apg. Among other achievements Chiquito played in the final of Venezuelan LNB in 2011 and 2016. 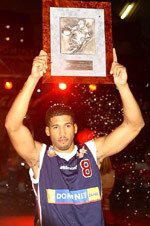 He received also Latinbasket.com All-Venezuelan LNB 2014 1st Team award back in 2014. Chiquito has played previously for six other Venezuela teams: Guaros de Lara 2, Guaiqueries, Marinos, Gigantes, Bucaneros and Furreros. His game is described as: Developing player at the 1-2 positions who's starting to show a mature approach to the game when given the ball to guide his teammates and seems to be improving his long distance shots as accuracy and confidence are there with him.